Cataracts are a very common visual change, with almost everyone over the age of 65 having some degree of cataract formation. The lens inside the eye sits behind the pupil and focuses light onto the retina at the back of the eye so that we can see images. From birth, the lens is composed of a transparent and flexible material which is rich in protein. Over time, the lens protein changes, causing the lens to stiffen and eventually become cloudy. Rare cataracts are congenital (present at birth), or related to a specific trigger such as steroid drug use, injury or surgery to the eyes. However, the vast majority of cataracts develop very slowly and are part of the normal ageing process. Cataracts develop slowly, and the effect it has on your vision and lifestyle will vary depending on how advanced the cataract is. Smoking, obesity, eye trauma, diabetes and overuse of steroid medications and prolonged exposure to ultraviolet light can also lead to cataracts. The common symptoms of cataracts include blurry or double vision, seeing halos surrounding sources of light, perceiving colours to be fainter and difficulty seeing at night, as well as increased sensitivity to glare. When your quality of life and vision is affected by the impact of cataracts for everyday activities, driving or reading, a short surgical procedure is needed. The opaque natural lens replaced with a very small, clear artificial lens. The operation usually takes no more than 30-40 minutes and you usually go home within just a few hours. It is the most common operation performed in the UK, and carried out under local anaesthetic just using eye drops. Getting your eyes tested regularly can help in detecting cataracts and other eye conditions at an early stage. At Leightons Opticians & Hearing Care, we offer an Ultimate Eye Exam that includes an OCT (Optical Coherence Tomography) scan, which is like an ultrasound for the eye. It goes well beyond the retinal surface and brings up images of the underlying tissue. 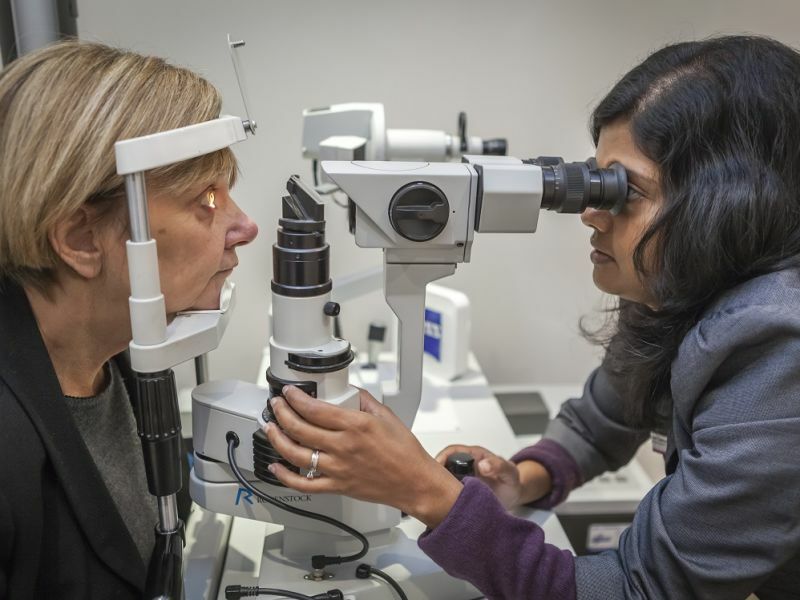 This can help us detect early signs of conditions such as Age-Related Macular Degeneration (AMD) and glaucoma earlier than traditional methods. You can book an eye exam with us online, call us on 0800 40 20 20 or visit your nearest branch for more information.